This past fall, Pam and i had the good fortune of being introduced to Renee Bruinsma of Stila Cosmetics. My makeup routine definitely needed some updating…and Renee gave me a new “fresh and dewy” look that i loved. Simple and quick, Renee’s tips transformed my everyday routine. We were excited to sit down and ask some of the questions we’ve had as well as you, our viewers! Renee has been bringing out the best in the women of Vancouver with 10 years of prestige brand professional artistry experience under her make up belt. Frequently sought for her advice on the latest cosmetic trends, she is a guest contributor to this blog and also manages the Western Region for Stila Cosmetics. What is the biggest mistake women make when applying their makeup? Does this take you down memory lane?…the thick powders our moms used to wear, the heavy lipsticks that smelled so strong…and the eye pencils that could scratch your eye out! But it didn’t matter…because they were so beautiful – or so we thought! Fast forward to today – 30 years later, we can achieve the same idolized look that our mother’s wore without the “mask like” powders, drying lipsticks and hard eyeliners. Technology has come so far that we can look fresh, radiant and modern with less product that does so much more, than ever. Why? Because the make up ingredients and composition have improved so much in the times since we were little girls, that we can do far more, with far less – resulting in a truly “less is more” look. Today, the biggest mistake women still make is wearing too much. There is a big misconception that if you wear more its going to look better…Not so – in fact the opposite is true. Anytime a woman wears something that is too heavy it ages her, no matter if she’s 20, or 60 and who wants to look older?! That goes for complexion products, lips, eyes…everything. The key to looking young, fresh and modern is fresh makeup with a modern technique. This is very easy to create with the proper products and the right tips. A really good example is foundation. Complexion is what people see the most. Your skin should always look like your skin, not like you have thick mask on. A great product to try is a tinted moisturizer. This type of product can actually make you look younger because it adds extra radiance, especially if you tend to have a more dry skin. Tinted moisturizer doesn’t settle into any ‘crevices’ (you ladies know what I’m talking about), it stays looking fresh and radiant all day long, you can layer it if you need more coverage in certain areas and it has an SPF! What more could you possibly want out of one product?! A favorite tinted moisturizer of the professionals is Stila sheer color tinted moisturizer, hydrant, oil-free, SPF 20. There is a wide range of colors to match every skin tone. The great thing about Stila complexion products is that no matter what range you chose, your skin will always look radiant, fresh and polished. The products are virtually undetectable on the skin which is fantastic. If you had to leave the house with only 3 products, what would they be? 1. Stila sheer tinted moisturizer in light – because my skin needs a little coverage and evening out before I start my day. 2. Stila stay all day brow in light – because brows are what shape and sculpt your entire face. 3. Dior lip Glow – I love this product because instantly moisturizes my lips, adds the perfect amount of a flushed pink shade and has an SPF 10. What is the quickest way to take your makeup from day to night? The quickest way I take my makeup from day to night is adding a little eye liner or lipstick. The easiest way to sizzle up your eyes for a night out is to smudge a little liner on your lid, close to the eyelashes. The key is that the liner has to be really soft in texture, otherwise the product just won’t go on properly and you will not get the proper depth in shade. Best way to do it is to take your soft liner (Stila smudge stick in Stingray or Purple tang is the my top pick of late) and draw a line close to the lash line and smudge it a little with a small shadow brush, Stila #28 works perfect. This will add some depth to the eyes without looking harsh or trampy. Another great way to add a little definition is to add some liquid liner! Black works perfect and looks polished and modern. If you’re not into adding anything on your eyes for the evening then add a little color to the lips. Red lips (or a more intense shade) are a great way to take your look from natural, to a little more edgy. They will always draw attention and it keeps the rest of your makeup looking fresh. If you could recommend one product for each of these age groups, what would they be? 20’s – A bright lip. At 20 years old the skin is still even and radiant so there isn’t a lot to even out, which would require a complexion product, so I like to focus on the lips. A bright shade lip gloss or lipstick (for the more daring) is a perfect way to complete a natural look. My favorite lipgloss in a bright shade would be Stila Lip glaze in Raspberry. 30’s – Tinted Moisturizer. At this age, the skin is still beautiful and plump but a lot of the time, the days of sun worshiping and past picking zits, start to show. As these things were satisfying at the time…but thank goodness we have something to enhance and actually treat the skin. Tinted moisturizer is a great way to even out the complexion and really customize your look. You can add more coverage in the places that need a little more love and leave the areas that are untouched, more sheer. 40’s – Eyeliner. A lot of women in their 40’s often complain to me that no matter what they apply to their face, they still feel tired. Best way to waken things up, even if you’re still tired, is to add a soft textured – waterproof liner to the upper eyelid. You will be surprised how your eyes look much more awake and defined. This tip can even give the illusion of longer lashes. 50’s – Creme Blush. Blush alone, on any woman can bring life to their face. 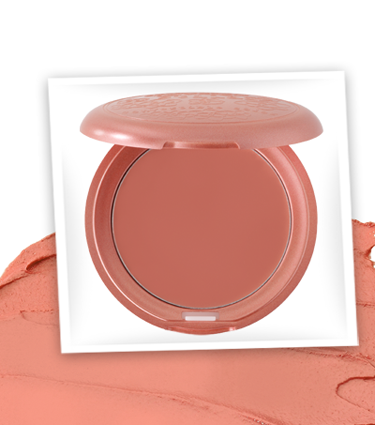 A beautiful, flushed, natural shade just brightens up the entire complexion. A lot of women tell me, “oh I just wear bronzer to add a little color”. Sorry, bronzer is great but its not going to brighten the complexion like blush does. The other key at this age is choosing creme. The great thing about a creme instead of a powder is that it looks like its part of the skin and not sitting on top. A lot of women at 50 do not have that glow to their skin any longer and creme blush is a great way to bring that illusion back of a young, healthy, glowing skin. My absolute favorite, Stila Convertible cheek & lip in Peony. This is really the perfect shade for every woman. 60’s – Brows, brows, brows. At this age, women tend to loose thickness and even shape to their brows. I find when brows start to go, so does the complete structure of your face. Brows can really sculpt your face / look. Even if just your brows are done and you leave the house you still look put together and sculpted. The number one complaint I get from women is “my brows are always gone half way through the day”. This is true for most people, of all ages actually, because there are the oily skins, the face touchers, the athletes, etc… Well ladies hang on to your make up – there’s is now a solution! Introducing the new “Stila Stay all day brow”. This product is revolutionary in today’s market as there is nothing like it in from any other brand. It comes in 2 shades, light and medium and…….drum roll……….is WATERPROOF!! Finally a brow product that stays on even if you go swimming! I am so thrilled with this product as you can actually draw little hairs that look exactly like natural hairs. The tip is so fine that lets you create your own shape looking natural every time. I love how it takes me back to the glamour and beauty of the first time I saw that radiant woman applying her make up as a little girl.